Triple stitched seams. Radio loops. 2 chest pockets with stud closure. Internal drawstring waist. Internal pocket with velcro closure. 2 lower pockets with FR Velcro closure. 2-way brass zips. Detachable hood. Fire Resistant Lining. 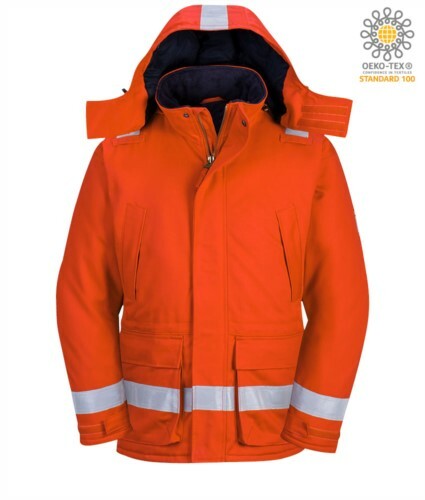 Dear friend, I suggest you this article: Fr antistic winter jacket; You can find it on the web at: https://www.castbolzonella.it/scheda.asp?content=.